Kathy Freston wasn't born a vegan. The bestselling author and renowned wellness expert actually grew up on chicken-fried steak and cheesy grits, and loved nothing more than BBQ ribs and vanilla milkshakes. Not until her thirties did she embrace the lifestyle of a veganist - someone who eats a plant-based diet not just for their own personal well-being, but for the whole web of benefits it brings to our ecosystem and beyond. Kathy's shift toward this new life was gradual - she leaned into it - but the impact was profound. 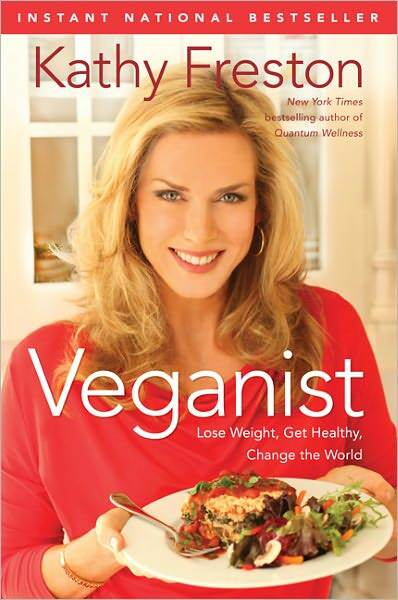 Now Kathy shows us how to lean into the veganist life. Effortless weight loss, reversal of disease, environmental responsibility, spiritual awakening - these are just a few of the ten profound changes that can be achieved through a gentle switch in food choices. Filled with compelling facts, stories of people who have improved their weight and health conditions as a result of making the switch, and Q&As with the leading medical researchers, Veganist concludes with a step-by-step practical guide to becoming a veganist... easily and gradually. It is an accessible, optimistic, and illuminating book that will change the way you eat forever. No less delicious, still hearty and satisfying - just better for you and for all.